This Time last year we had snow. My 944 had just recently blown its rep by blowing out its own electrics, and the Beemer was tucked up safely in my garage. Where it spends too much time. But I don’t like taking it out on wintry roads, because it’s nearly 30 years old, factory-original and in damn fine fettle. As I write this on the last day in February, I’m looking out onto a sunlit garden, daffodils swaying gently in the breeze, birdsong drifting through an open window. Two record-breakingly warm days preceded this one. But tomorrow it’s back to normal. Whatever counts for normal in 2019. Anyway, I’ll stop wittering, because my point is that this is the first winter during my eight-year tenure of the BMW – today is its anniversary – during which it’s been driven with anything like regularity. I was even out giving it an early spring clean last weekend, ahead of driving it to Bicester Heritage for an editorial meeting with the #Drive-My team. And I drove home with the roof down. That has rarely happened this side of April. I’m generally an advocate of use rather than storage, although I admit that when the BMW crept past 50,000 miles last year, I fleetingly wondered if I should mothball it. Winter hibernation can cause the odd issue: I’ve lost count of the new batteries I’ve fitted (even if the last one was terminally discharged when I left the bootlid slightly ajar – can’t blame the car or the weather for that one), plus I’ve been through a master cylinder, a clutch slave cylinder, a heater blower motor and a seized brake caliper. All these failures occurred within the first post-hibernation drive. There have been no such problems this year, and I’ll count my sunburnt forehead as a freak of the highly unseasonable weather. We’ve had a lot of frosty nights, mind. Frosty enough to make the 944 a tardy starter one morning. Rather than drain the battery, I reached for the Energizer 400A jump-starter kit I got late last summer. It wasn’t cheap at around £100, but it’s about the size of a large smartphone and can be used to charge one of those so you can cycle its battery between boosts. Connection is easy – it’s great not having to lug something heavy around – and the 944 sprang instantly to life. Indispensible for any car that is parked up for just a touch too long. Above and below: BMW bowls along at Bicester; it was joined by editor Elliott’s Triumph not-2000 – and a McLaren 12C Spider. 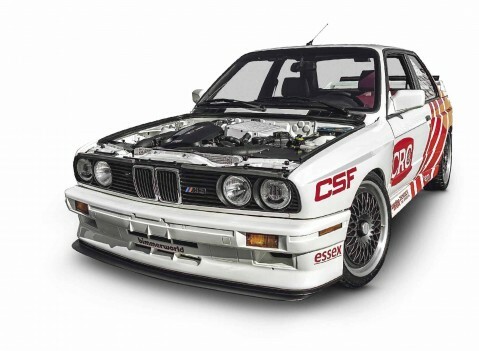 The time machine Stunning E30 M3. 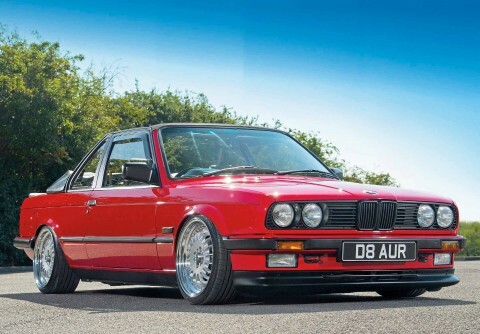 Having spent 10 years hunting for the perfect E30 M3 and then another seven modding the one he bought, a lot of Raymond Khublal’s life has revolved around the iconic classic but, as the stunning end product proves, it was time incredibly well spent. Words: Elizabeth de Latour. Photos: Jonathan DeHate. 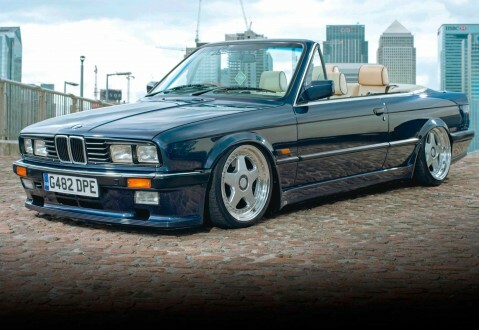 Sublime 2.8 M52 E20 Cab. With an M52 swap, stunning custom interior and plenty of unique touches, in a scene packed with modded E30s this head-turning cab really stands out. Words: Elizabeth de Latour. Photos: Matt Richardson. 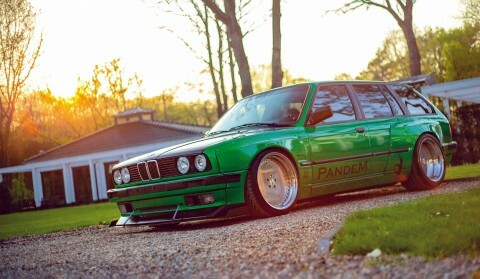 Rocket Bunny BMW E30 Touring gets the Pandem treatment. BMW E30 Touring The 3 Series Touring is a sensible, family car… But not this one. This one has Pandem arches, air-ride and a whacking great spoiler on the back. Words: Daniel Bevis. Photography: Ronald Veth. 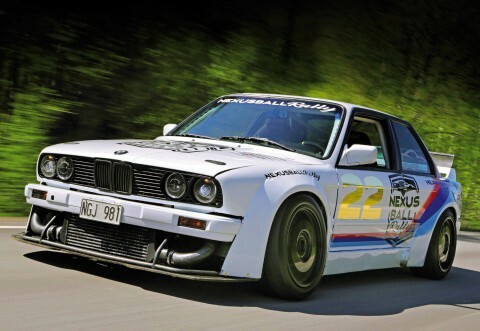 Rolling Thunder Henrik Nygren’s insane, turbo S50-powered E30 makes an astonishing 941whp and it’s just an unstoppable force of sheer automotive fury. Words: Daniel Bevis Photos: Patrik Karlsson. 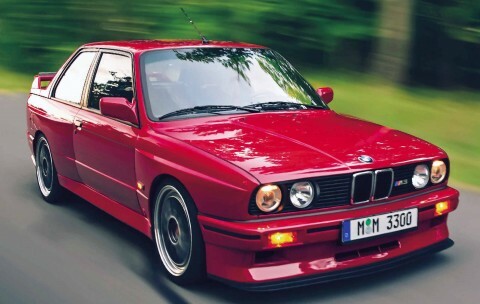 We cram all of the most important facts about the mighty E30 M3 into a guide you can read in the time it takes to make and drink a cup of tea (or coffee)! Words: Elizabeth de Latour Photos: Tony Lopez. 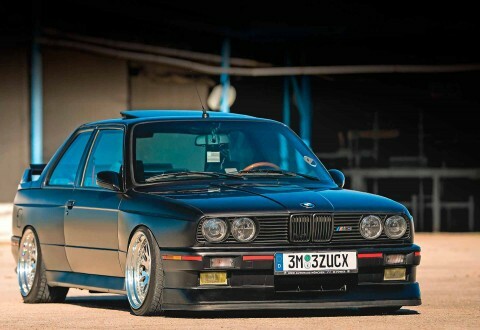 2.7-Swapped E30 Baur Restored and modded rarity. An unconventional beauty for sure, the E30 Baur is a rare beast and this perfectly presented example is a rare treat in so many ways Words: Elizabeth de Latour. Photos: Matt Richardson.